Last year I “E-Met” Penny when she and I connected on Twitter. 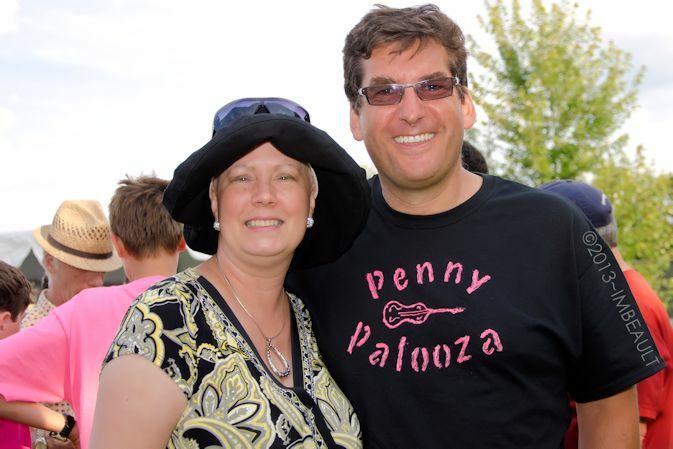 We live in the same town, and Penny was dealing with the treatment of breast cancer. Since then, she’s been a great supporter of my novel (even walking nearly an hour to the book launch!) and a supporter of the city where I live. As we all are, she’s way more than the trauma of breast cancer – and so she’s pulling together her many skills to help raise funds for the Ottawa Hospital Breast Health Centre. Basically, it’s a music festival in a park in the summer. So, that’s perfection. It is in Ottawa on Saturday August 23rd (Why is the best stuff on a Saturday, when I’m working? Let’s start having all the cool stuff happen on Tuesdays, eh?) from 4-9PM. 🙂 Admission is a suggested donation of 10$/person, or 20$ for a family of four. If you want to indicate you’ll be going, here’s the facebook event page! She’s got a lot of heart, and a lot of drive to be bringing this out another year. For that, I tip my hat to you, Penny.